The Pembleton came about when former motorcycle racer Phil Gregory and wife Maggie were on a cycling/camping holiday in Ireland back in 1999. Maggie spotted a tricycle and commented on the vehicle and the seed was sown. Phil not only raced bikes, but designed and built them so he had an inherent knowledge of building frames/chassis. At home he also had a Citroen 2CV that he used on his farm. Four weeks later the Pembleton was finished and a quick trip to the local transport department saw the vehicle approved and registered. That idea then turned into a small business and the first Pembleton is used as the ‘company demonstrator’. Incredibly, few changes have taken place to the basic design (apart from the Brooklands) in the 11 years since since that first car was built. The chassis is made of square and round mini tubes and is easy to lift by one person. The kit comes with chassis, brackets, modified leading arms, twin cable throttle pedal, cutting patterns for the aluminum body work, a build manual and pre-build manual which gives advice on suitable donor vehicles and supplier contact details. The retro style was borrowed from the beautiful 1930s Morgan Super Sport and there are more than 300 Pembletons either registered or under construction in the UK. Not all are Citroen 2CV based, but also utilise either Moto Guzzi or BMW motorcycle running gear. 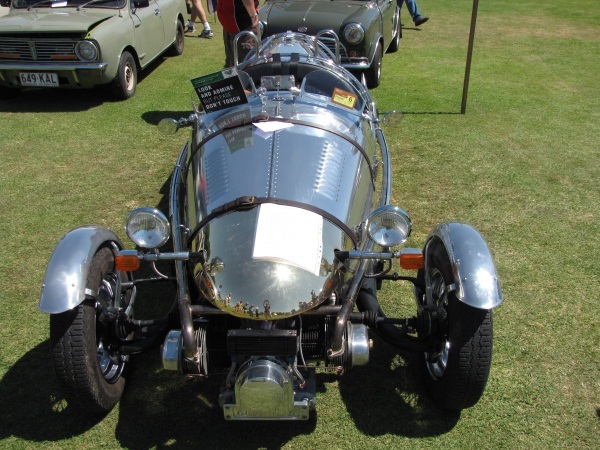 And, not all are trikes with Pembleton producing a kit for a four-wheel variant called the Brooklands. 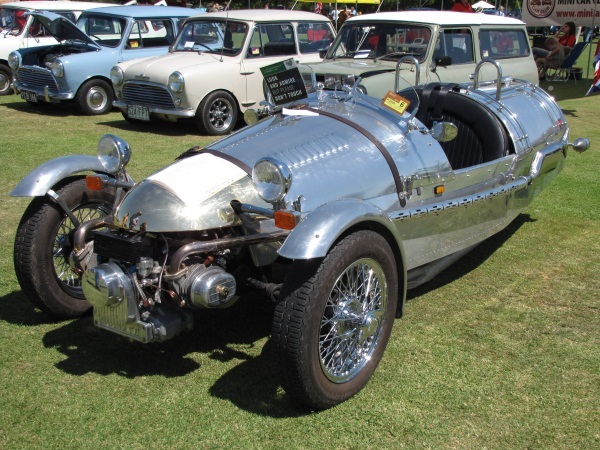 The vehicle pictured here was built by Peter Gibbs who imported the chassis, MG spoke-wheels and design from the UK. 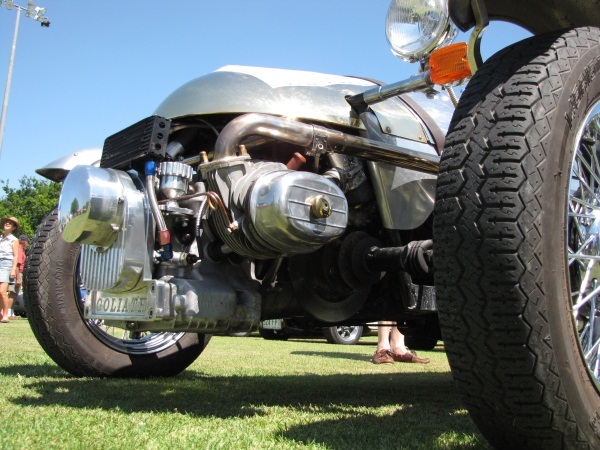 The 600cc engine and suspension were donated from a Citroen 2CV rolling chassis. The body panels where built by Australian sculptor and artist Steve Bodrog. All the panels and the impressive brass nose were beaten by hand. Peter did all the fitting and turning work and general engineering to pull the project together over a two year time frame. 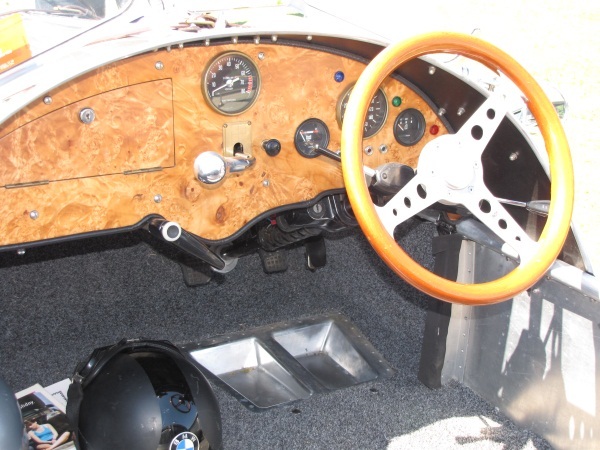 The 600 cc engine from the 2CV is hooked up to a four speed gearbox that includes a reverse gear. Top speed is around 140 km/h with the total weight around 370 kg.